Welcome to this (really not so special) St. Patrick's Day weekend edition of Digital Digest! 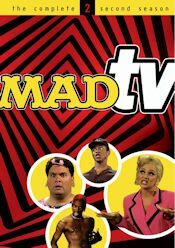 This weekend, along with all of your regular features, we've got a review of MADtv - The Complete Second Season. Let's get rolling! We reported on a release of The Jack Benny Program from Shout! Factory last year, and not much has materialized... but now, there seems to be a bit more, courtesy of The International Jack Benny Fan Club website. According to the fan site, the release will be coming to stores on July 23... but if you can't wait that long, it'll be available to own on June 18 from the Shout! Factory website. Crackle, the free online streaming service from Sony, announced plans to add the series The Shield to the service. The series will be rolled out in seasonal installments through 2014. Unlike many other comparable services, Crackle allows free ad-supported streaming on any device, including mobile devices. While this addition isn't huge news for sitcom fans, it does provide hope that they could do this with more sitcoms in the future. Right now, the service provides mostly sporadic episodes of series, so we can hope for more! 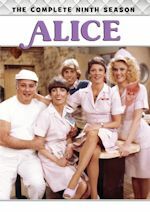 Tuesday (March 19) brings us another great Warner Archive release, as they bring us Alice - The Complete Third Season. Also, for fans of Carsey-Werner sitcoms, Mill Creek completes one (and comes close to completing another) with their releases of Roseanne - The Complete Seventh Season, Roseanne - The Complete Eighth Season, That '70s Show - Season Seven, and That '70s Show - Season Eight. Finally, Shout! Factory has Quincy, M.E. - Season Five. In the '90s, one of Fox's most successful series was the sketch comedy series In Living Color. 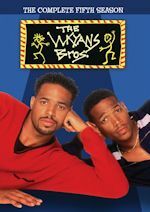 Unfortunately, a fallout with the Wayans family caused the show to be slowly dismantled, ultimately to the point of cancellation in 1994. But Fox wasn't going to give up on sketch comedy. In 1995, MADtv debuted on the network. 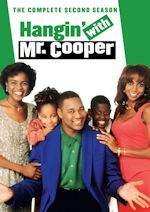 It wasn't quite the same as In Living Color, but it did bring a return of the old format, and even some of the original writers from that series. 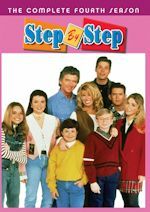 Airing on Saturday nights, the series ended up lasting for fourteen seasons with 321 episodes. Several years ago, Warner Home Video released the first season, but sales weren't as good as hoped. Now, Shout! Factory has picked up the rights to release seasons 2-5. It is hard to summarize all of the episodes of a sketch comedy series, so I'll just go through some of my favorite sketches of the season. One of the recurring themes, particularly early in the season, is the 1996 presidential election. David Herman plays the role of Bob Dole, and Bryan Callen plays the role of Bill Clinton as they go head-to-head in the election. The Vancome Lady (Nicole Sullivan) has jobs at both the Betty Ford Clinic and a casino in this season, neither of which goes very well. Nicole Sullivan and Debra Wilson both play Samantha in a hilarious spoof of the classic series Bewitched. Another one of my favorites is Young Alanis, where Debra Wilson plays the role of Alanis Morissette in elementary school, complete with a parody of her well-known song (which still receives considerable radio airplay today) "Ought to Know." With NBC's Thursday night lineup being a huge deal in this era, the series creates a parody of an ideal show to air between Seinfeld and ER, called Test Pattern. An episode of The Mary Tyler Moore Show that was "banned" gets a special airing on Nick at Nite in the episode that Adam Arkin hosts. Of course, there are a lot of other memorable recurring segments throughout the season, such as the UBS guy, the losers of the Lowered Expectations dating service, and one of my favorites X-News (which fit the whole "eXtreme" everything era of the 90s). While the second season is very similar to the first in many regards, one key change in this season was to add a host to each episode of the series. The first of these hosts is Christina Applegate. Other hosts of interest to TV fans are Neve Campbell, Joe Rogan, French Stewart, Andrea Martin, Tommy Davidson, Mark Curry, Adam Arkin, and David Faustino. The set comes packaged in a Viva case, with some of the more memorable characters featured inside of "bubbles" on the cover and even more characters featured inside of "bubbles" on the back. There is also a description of the season on the back. Inside, you'll find the four discs, which contain 5-6 episodes per disc (more on the problems from that will come a bit later). Inside the case, a listing of hosts and airdates for the episodes is included. The menus on the set are very basic... in fact, there is only one menu screen on each disc. On the menu, there is a Play All option, a listing of episodes, and a series of rapidly changing snapshots of Alfred E. Neuman. The theme song continuously loops in the background. I'm not really overly impressed with the video and audio quality of this set, and I think that it likely has to do with the fact that so many episodes were crammed on each disc. Six episodes of a series that originally aired in a one hour time slot is overkill to some extent, and compression--something that hasn't been an issue on many DVDs recently--does seem to be a problem here. There are no subtitles or closed-captioning. The set has one special feature... sort of. At the beginning of each episode, a promo plays for the episode, which I'm guessing was used for syndication. Other than that, we have nothing else. This set seems like a great set to include interviews. What else are the actors really doing now? I'm glad that Shout! decided to pick up this series and continue it on DVD, but I certainly hope that they go beyond the fifth season. I enjoyed this series on Fox (up until the last season or two), and in watching this season, I've come to realize that the series really had not quite warmed up just yet. Some of the best actors and actresses of the series have yet to come, including Alex Borstein (now better known for her Family Guy voice work), Will Sasso, Mo Collins, Aries Spears, Stephnie Wier, and of course Michael McDonald. The only people truly memorable from this season are Nicole Sullivan and Debra Wilson. That doesn't mean the rest were bad, it is just that they didn't have the opportunity to play the characters that many fans truly loved on the series. In any event, I'm glad that we've at least got a chance to see this series on DVD, and can't wait to see more. Who to Follow: Rob Lowe (Twitter), "Love: family, dogs, espresso from an IV, politics, story telling, sobriety, acting, music, glassy overhead conditions. Hate: decaf"
Claim to Fame: We'll admit: we're taking a slightly different approach to our Follow Me for this week. Of course, we all know that Lowe's claim to fame primarily comes from movies, such as St. Elmo's Fire. But in recent years, Lowe has become more of a TV actor, appearing in regular roles in The West Wing and Brothers & Sisters. Despite all of that success, many critics have proclaimed that one of his greatest roles has actually been his current sitcom role, where he plays Chris Traeger on the NBC series Parks & Recreation. Why You Should Follow Him: I'll be the first to admit that I never would have imagined Lowe being such a great sitcom actor, but I actually have come to enjoy him and his role in Parks & Recreation. In a sense, it helped me discover (and want to know) more about him. While he doesn't Tweet every detail of his life, nor does he interact directly with fans all that much (we know some celebs who are very actively interacting with fans), he does seem to be a very interesting and dynamical person, and many of his Tweets are fun to read.